Ishaan Khatter to Mark his Web Debut with an Adaptation of Salman Rushdie’s novel, Midnight’s Children? Medical advancements have become more prevalent than ever now, but we cannot deny that the burden of various diseases is also increasing day by day. With medical science coming leaps and bounds with multiple vaccines and other medical, many countries do not have a luxury of access to medical help. 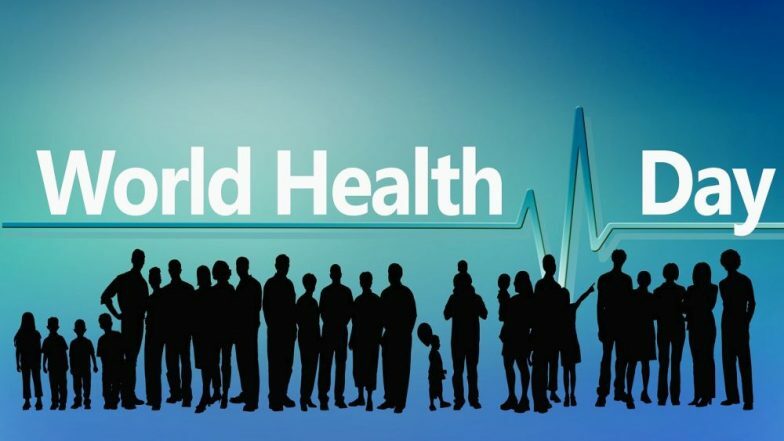 World Health Day is celebrated on April 7th to raise awareness about healthcare in the world and also to be able to help the countries that still lack access to healthcare despite the advancements in Medicine. Multiple health challenges still exist around us, and according to WHO, these challenges range from outbreaks of vaccine-preventable diseases like measles and diphtheria, drug-resistant pathogens, growing rates of obesity and physical inactivity to the health impacts of environmental pollution and climate change and multiple humanitarian crises. Here are Ten threats to global health in 2019, according to WHO. World Health Day 2018: 6 Secrets to Good Health, According To an Ayurvedic Expert. Air pollution and climate change top the list of significant health threats of 2019. About nine out of ten people breathe polluted air every day, and it can have devastating effects on health. The WHO considers air pollution as the greatest environmental risk to health and microscopic pollutants in the air can penetrate respiratory and circulatory systems, damaging the lungs, heart and brain, killing 7 million people prematurely every year from diseases such as cancer, stroke, heart and lung disease, as per WHO. With the rapid increase in the number of non-communicable and lifestyle-based diseases such as diabetes, cancer and heart disease that are collectively responsible for over 70% of all deaths worldwide, falls second place in the list of most significant health threats in 2019. About 15 million people die prematurely in the age between 30 and 69, and over 85% of these premature deaths are in low- and middle-income countries, as per WHO. The rise of these diseases has been driven by five major risk factors: tobacco use, physical inactivity, the harmful use of alcohol, unhealthy diets and air pollution. Another significant health threat to the world is Global influenza pandemic. According to WHO, the world will face another influenza pandemic, except it is not known when. The global defences are only as effective as the weakest link in any country’s health emergency preparedness and response system, WHO says. The environment around you plays an essential role in the well-being of your health. Over 1.6 billion people live in places where protracted crises, through a combination of challenges such as drought, famine, conflict, and population displacement. They live in areas with weak health services are left without access to primary care. According to WHO, fragile settings exist in almost all regions of the world. Antibiotic resistance is a growing problem that can lead to an undefiable superbug. WHO says that the development of antibiotics, antivirals and antimalarials are some of modern medicine’s greatest successes; however, now, time with these drugs is running out. Antimicrobial resistance that is the ability of bacteria, parasites, viruses and fungi to resist these medicines threatens to send us back to a time when we were unable to effectively treat infections such as pneumonia, tuberculosis, gonorrhoea, and salmonellosis. This can have serious health effects. Ebola and other high-threat pathogens is a growing threat that needs to be curbed. In 2018, when the Democratic Republic of the Congo saw two separate Ebola outbreaks that ultimately affected more than 1 million people. According to WHO, this watchlist for priority research and development includes Ebola, several other haemorrhagic fevers, Zika, Nipah, Middle East respiratory syndrome coronavirus (MERS-CoV) and Severe Acute Respiratory Syndrome (SARS) and disease X, which represents the need to prepare for an unknown pathogen that could cause a severe epidemic. To nip the problem at the bud, we need good primary health care services that are accessible to all. WHO believes that primary healthcare should ideally provide comprehensive, affordable, community-based care throughout life and that strong primary health care is needed to achieve universal health coverage. Primary health care help prevent diseases that can later prove to be a significant issue, if left untreated. With the number of anti-vaxxers increasing, vaccine hesitancy threatens to reverse development made in tackling vaccine-preventable diseases. As per WHO, the reluctance or refusal to vaccinate despite the availability of vaccines is paving the way for many eradicated health issues to come back. WHO believes that, Vaccination is one of the most cost-effective means of avoiding disease and currently prevents 2-3 million deaths a year, and a further 1.5 million could be avoided if global coverage of vaccinations improved. In one of the worst cases of vaccine hesitancy, Measles, has seen a 30% increase in cases globally. While not all of these cases are due to vaccine hesitancy, some countries that were close to eliminating the disease have seen a resurgence. Vector-borne diseases can be fatal and find its preventive measures in sanitation of teh living environment. Dengue amongst the other mosquito-borne illness can be fatal and kill up to 20% of those with severe dengue. The number of Dengue cases has been a growing threat for decades, and a high number of cases occur in the rainy seasons of tropical countries such as Bangladesh and India. HIV/AIDs has always been one of the biggest health threats in the world. However, according to WHO, the development made against the fatal disease, HIV has been tremendous. Especially, in terms of getting people tested, providing them with antiretrovirals, and providing access to preventive measures such as pre-exposure prophylaxis- PrEP, which is when people at risk of HIV take antiretrovirals to prevent infection. However, more than 70 million people still have acquired the virus, and about 35 million people have died. Over 37 million worldwide live with HIV, as per WHO. Reaching the goal of fighting these health issues through will require addressing the threats to health from a variety of angles and collective efforts.